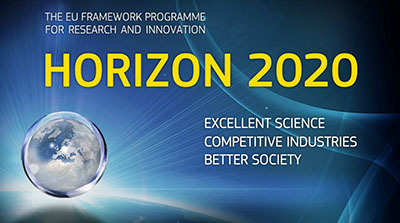 This week the European Union stated that the the Horizon 2020 research funding programme that will start on January 1st 2014 will launch with €15 billion for the first two years. That is out of a total of almost 80 billion euro. We now also have the full details and documentation for participants. This also has details on the Open Access policy. The model grant agreements have a few sections dedicated to this, showing that the EU has chosen for a green open access mandate.The mandate for publications asks for immediate deposit of the published version or accepted final author version upon publication or earlier in repositories. It does leave room for embargo periods of up to 6 months (or 12 months in Social Science and Humanities). By choosing green Open Access for its mandate the EU is not interfering with business models for publishing and leaves researchers full freedom of where to publish. Ideally this should be in full OA journals of course. This mandate will however be a major change for those researchers that were up to now reluctant to share final author versions. If they really do not want to do this they have the options of publishing in gold OA journals (whether requiring an article processing fee or not and whether hybrid or not) or publishing in subscription journals from publishers allowing them to share the publisher’s version, such as Cambridge University Press and a few others. Ook interessant is dat een persistent identifier nu verplicht gesteld is.